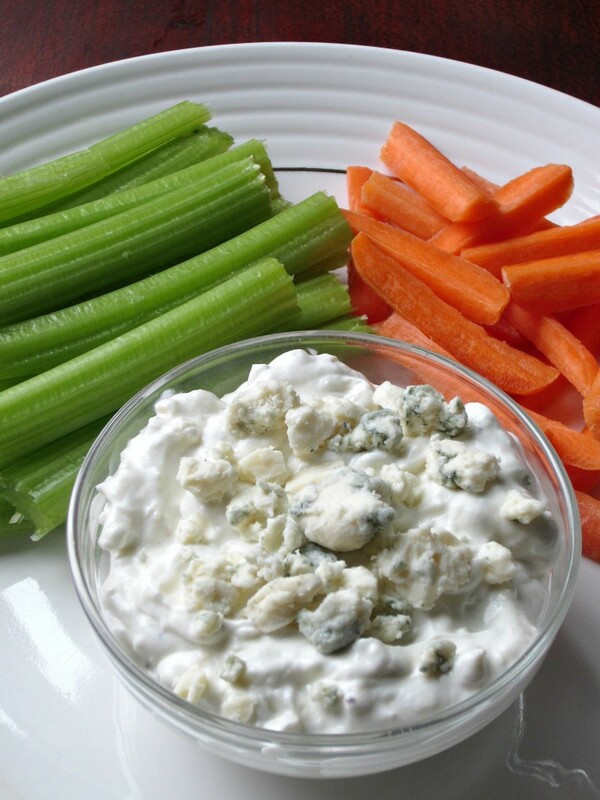 This Bleu Cheese Dip is so simple to make and perfect for any party! 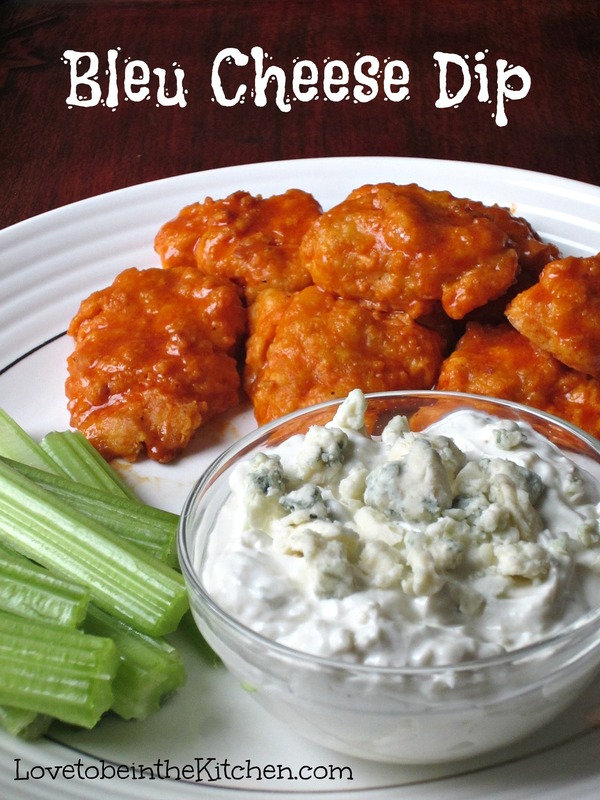 It goes so well with veggies or buffalo wings! 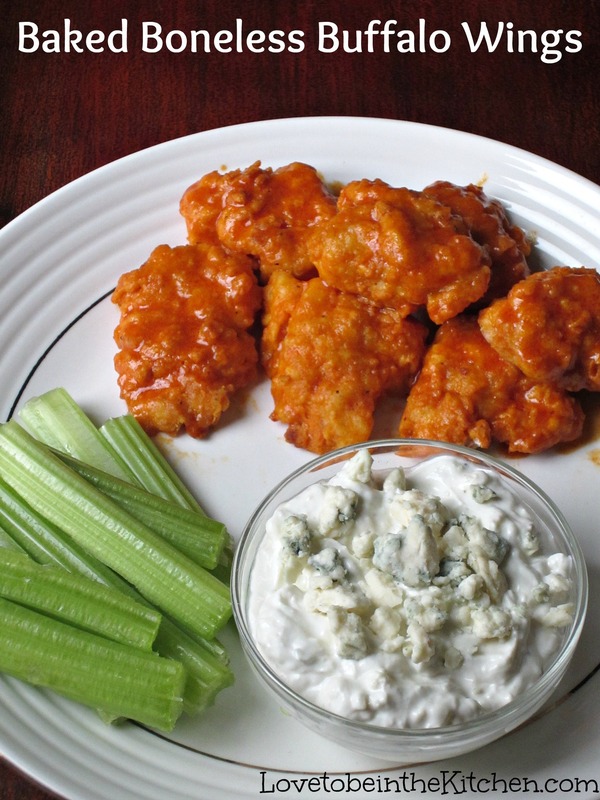 I love serving this dish along with Boneless Baked Buffalo Wings, celery, and carrots. I never thought I’d fall in love with bleu cheese but I am so in love these days! I used to think it was so weird and funny looking but then I grew up and gave it a chance. It’s amazing. 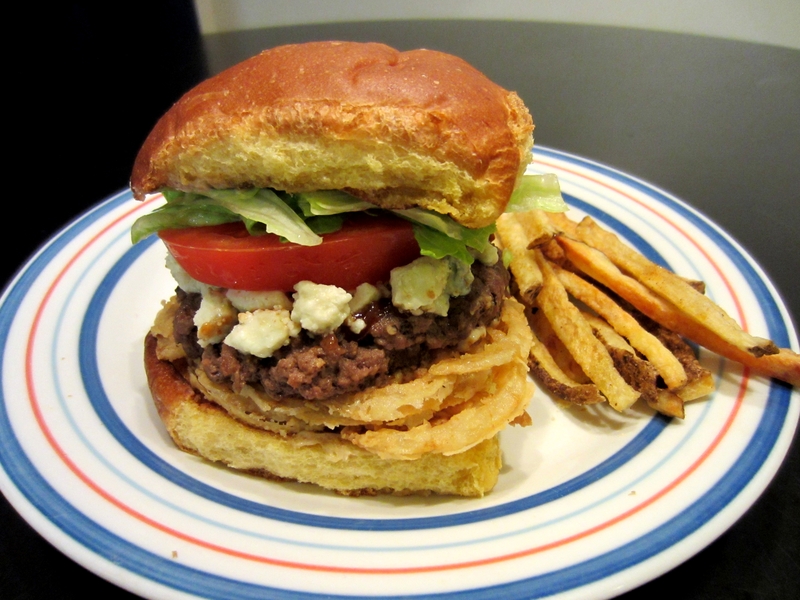 I love how bleu cheese transforms a dish to average to spectacular! I first really started liking bleu cheese when I would order the Bleu Cheese Chicken Sandwich from Smashburger. It was amazing! But to my dismay, it’s no longer on their menu. I also really love it on Red Robin’s Bleu Ribbon Burger. I love how quick this dip comes together! 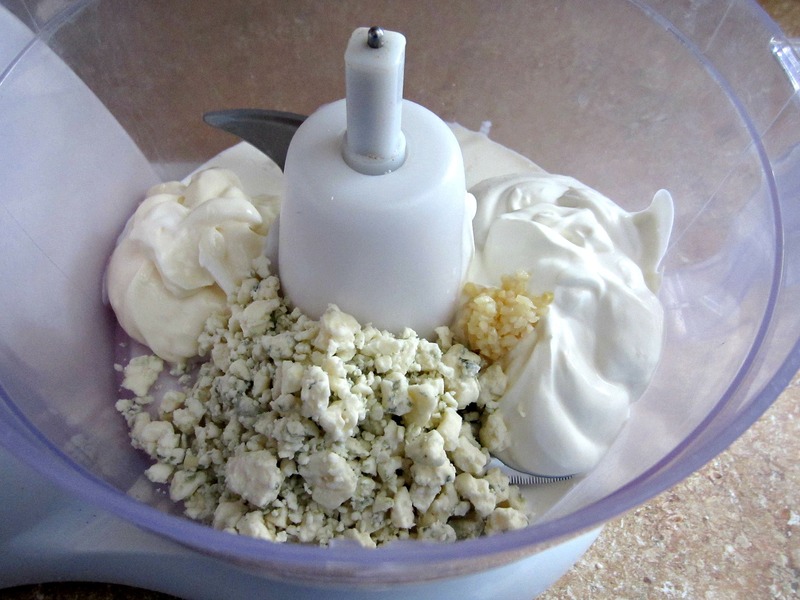 All you do is mix together sour cream, bleu cheese, mayo, garlic and a little lemon juice and milk. Then you add salt and pepper. I used my food processor but next time I’m just going to mix it up by hand in a bowl. If you do that and don’t want big chunks in your dip just break them up into smaller pieces as you add it in. Then refrigerate it until you are ready to use it. I just love it when something so delicious takes only minutes to prepare! I like to serve it with a little garnish of bleu cheese on top. It’s so good! Creamy and full of flavor. 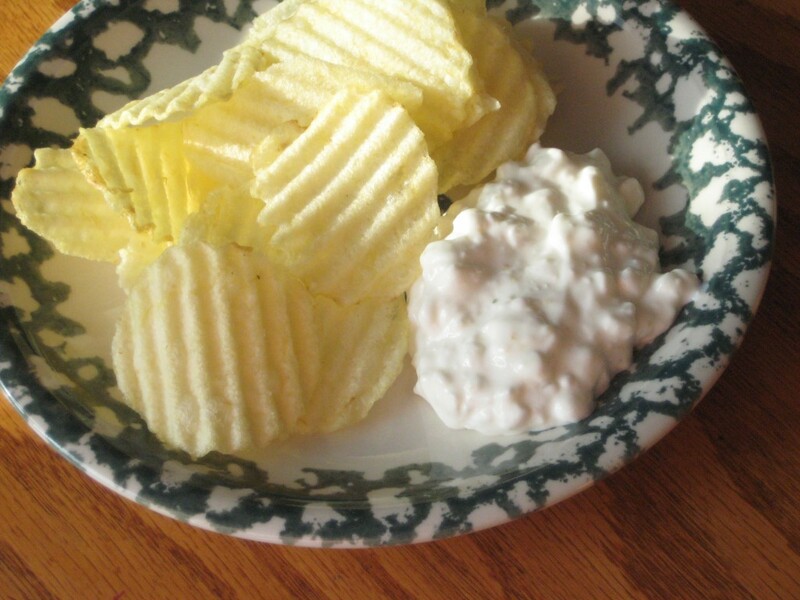 Mix together the sour cream, bleu cheese, mayonnaise, garlic, and lemon juice in a bowl until combined but still chunky. Season with salt and pepper. Add the milk/buttermilk if you want a thinner dip. Thanks for stopping by Joann! Made this dip for super bowl party today. Not only was it super easy to make, it was super delicious! Thanks for sharing the recipe. I love Blue Cheese anything, looks great! 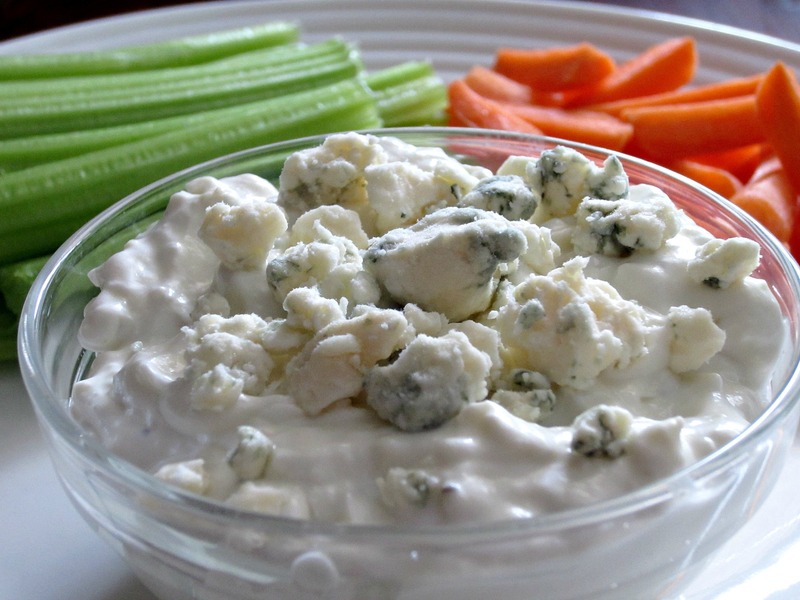 This looks like a really good Bleu Cheese Dip recipe. Another one for the pin board. Thanks for sharing!